The 2015 Mustang, like its also-all-new F-150 cousin, is probably going to end up winning a whole bunch of awards this season. 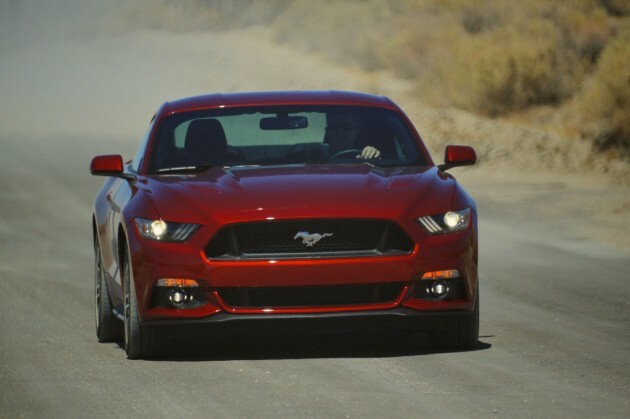 This week, the 2015 Mustang has been in the spotlight quite a bit on the tail-end of the announcement of the new Shelby GT350 and its introduction into the Middle East and Africa with a (somewhat ridiculous) stunt involving the Burj Khalifa, and the 2015 Mustang GT even managed to pull down a spot on Car and Driver’s 2015 10Best list. Now, Ford can add the title of Esquire Car of the Year to the 2015 Mustang GT’s ever-growing mantle, as it has been announced that the Tuesday, November 25th issue of the magazine will pronounce Ford’s newest pony Esquire’s choice for cream of the crop. Esquire has also published the article announcing the GT as Esquire Car of the Year on its website, wherein Sam Smith also lauds Ford for its choice to go with an independent rear axle in favor of the former generations’ solid axle, an overall sense of empowerment that it provides, and its affordability compared to other performance cars of similar stripe.